Experience the most comfortable stack-heeled sandal you’ll ever wear! Soft, supple nubuck leathers lined with smooth, silky tricot make the Neve not only the best looking but the most comfortable shoe in your wardrobe! Adjustability abounds with a large, hidden hook and loop closure on the outside and hidden gore on the instep. Our EVAlution® technology bottoms provide supreme walking comfort with an on-trend block heel. Signature Tiny Pillows® construction provides massaging effects! 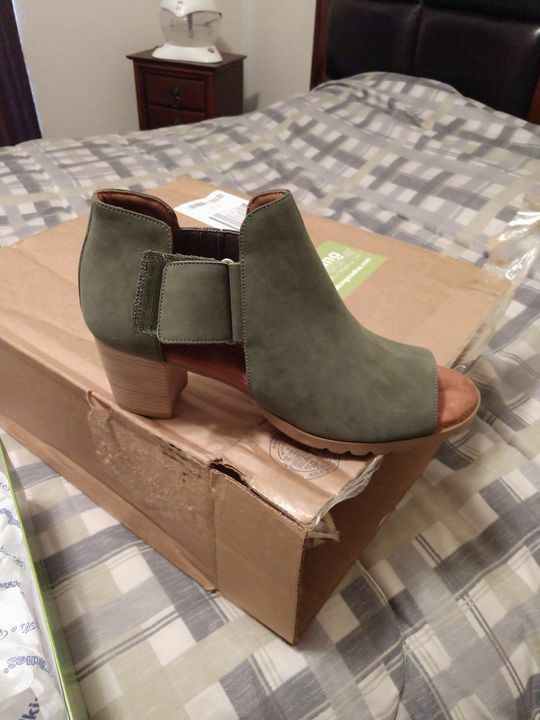 This open-toe bootie is sure to be your new favorite! Tiny Pillows® construction provides a massaging effect to feet by use of non-compacting, open cell foam, which maintains pliability and bounces back after compression. Available in many sizes and widths. Limited inventory, as part of our exclusive boutique line. This shoe won’t disappoint. Don’t be scared of the color. I surprisingly wear this shoe with more outfits than I ever thought. You can even wear it into Fall.